Owning a table saw in your garage or work area means hours of building, shaping and repairing items around the home, constructing new projects and generally enjoying yourself in the creative process of your hobby. 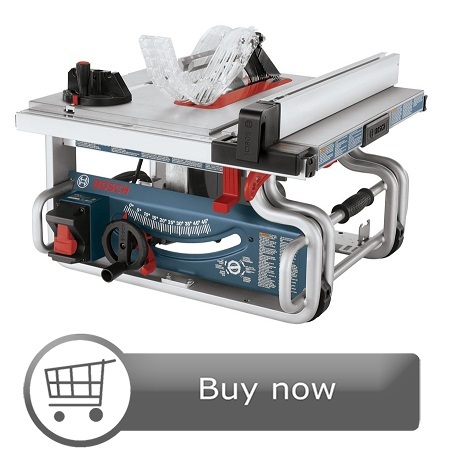 However, for those who don’t have an extensive background in carpentry or working with them, choosing the best table saw 2019 can be an issue, especially when the form and function of table saws are represented in different models. As with any purchase, it helps to know what you want to do first before making the mistake of buying the wrong type of table saw. Basically, there are three types of table saws on the market, each with their own unique features and prices. 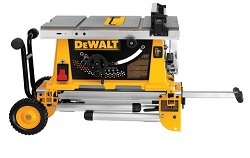 Read the table saw reviews and choose what matches your criteria. Let’s look at the specifications for the Bosch GTS1031. This is a 10-inch 15 amp saw at 0 degree bevel. It’ll cut through about 3.5 inches of lumber at 45 degrees and it’ll cut through 2.5 inches. The RPMs are 5,000, this weighs in at a hefty 60 pounds so if you’ve got to go up some stairs with this or you’ve got to create some distance that’s a consideration the rip left is 8.5 inches the rip right is 18 inches. It does not come with a stand, it does have dust collection, table size is 23 by 20 inches, height is right at about 30 inches without any of the attachments. Warranty is one year and at the time of this article. This saw was three hundred and seventy nine dollars before tax and before any discounts. As with all power tools make sure you read, understand and apply all the operational and safety instructions that come with your power tool and make sure you have good eye protection and hearing protection. Let’s take a look at the accessories that come with the Bosch: of course it comes with a fence, does come with a push stick anti kickback and a Bosch 10 inch general-purpose blade, it also comes with wrenches to change out the blade and it does come with a miter gauge. The table on the Bosch appears to be level or square, both left to right and front to back, in any way that I measured it with my little square. It came out perfect even when I brought the extension out it still stayed leveled to the rest. And that’s probably because all this additional tubing or framing prevents the tabletop from being distorted in anyway, so this is a very square tabletop. The blade alignment at 90 degrees from the factory for the Bosch is pretty good. You can see just a little bit of daylight there a little bit more at the top just a fraction off and I found it to be about he same at 45 degrees for this table saw. The table saw is pretty loud at ~94 decibels. If you’re using this power tool or any other power tool that has that level of noise you need to make sure you’ve got good hearing protection. I just find it one of the top table saws I’ve ever used. Don’t get fooled by its size. It’s compact, it’s made to bring it on the jobsite, it’s something you can carry in one hand. On one side it weighs about 50 pounds or so. The first thing that really attracted me to this table saw is the fence. It’s on a rack and pinion, you just roll the crank, it’s on a sprocket system. DeWalt redesigned this like it did the other saws and they came up with a lot of different safety features, for instance they use what’s called a sight Pro guarding system and it’s a hands-free blade guard riving knife kickback, splinter, anti splinter and it’s all hands-free. Actually it’s tool free and and if they just clip in with levers and the riving knife has a knob that you can unscrew not as fast as the bigger size that have a lever on the side but still pretty easy and tool free. I absolutely love the fence that DeWalt has, that rack-and-pinion fence and locking lever. There’s nothing smoother out there that I’ve experienced yet. The rack and pinion fence is really great. On the rack and pinion fence they give you that fence support so that when you’re on your way out, cutting a wide board you’ve got that support. That’s another safety issue because you’re not rocking the the piece. All of these safety things make a difference. To me the riving knife is huge, I’m so excited that they came out with this riving knife! Other things I want to talk about are the roll cage that has adjustable rear feet so that you can make adjustments if you’re on an uneven surface or something like that. What I really liked about this saw, is the 15 amp motor and it just plows through stuff. I like that it has a 24 inch rip and for me that does 99% what you need on a jobsite. It’s huge that you can make a rip like that on a little compact saw like this. Generally speaking, these are the largest types of table saws. Big, powerful and anchored to the table, workbench or cabinet, stationary table saws represent the most expensive versions of this product. Large pieces and projects can be cut easily. Large saw blades up to 12” in diameter can cut through the toughest project. Smooth, heavy duty parts and precise cutting controls bolstered by plenty of features. Built for durability and accuracy. Depending on the work area, it can handle large objects like the stationary saw. Portability, moving it where you want. It can be mounted to a workbench for more stability. Small and can be easily stored. Choosing the right one for your needs will depend on what you want to accomplish. Generally speaking a stationary saw is for frequent, heavy use and has lots of options. If you don’t foresee using your table saw that often, then the smaller, contractor’s saw or portable saw will probably fit your needs and save you a considerable amount of money. Other type would be hybrid table saws. A hybrid saw is stationary, built with a motor inside to look like a more expensive cabinet maker saw. There are a few companies that are known for making the best kind of table saws. If you’re planning on getting a table saw, you’ll probably want to get one from one of these trusted manufacturers. Each of these companies makes popular table saws. Some of them are better known for making portable models, while others are known for making bigger, shop quality table saws. If quality matters to you, be sure to buy your table saw from one of these trusted manufacturers. While the most important thing about a table saw is its ability to cut accurately, there are some other options that you should look for. After all, it’s nice to get extras when they are available, so keep a sharp eye out for these features when you’re comparing table saws. Table size. If you plan on cutting bigger pieces of wood, you’ll want a larger table. Safety Features. Safety equipment is always a concern when you’re using a table saw, so try to find a model that includes plenty of features to keep you safe while cutting. Good cutting power. Storage space. Even some of the portable table saws have cabinet table space to hold your acme tools and spare stock blades. You won’t find storage space on every saw, but it’s nice to have if you can find it. You’ll get a lot of quality work done when you use a table saw, as long as you buy the right saw for your cutting needs. If you remember the facts you learned here, you’ll be an informed tool shopper who knows precisely what to look for when shopping for your table saw. 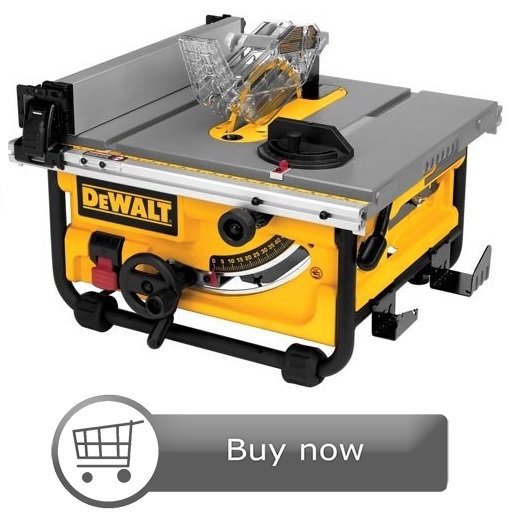 Want to buy the table saw you saw last time in that shop? Well, do not just go purchase it because it looks big and good to you. There are many things which you must think about before buying any power tool but especially when it comes to woodworking projects or other diy projects, certain accessories can transform even a poor performing machine. For example, many woodworkers would say that a table top saw fence and miter gauges is an absolute necessity as it will make your cuts straighter and more accurate which means that you can repeat cuts more easily and safely. You must be clear with the purpose for which you need a table saw. Being a woodworker you need it for professional purposes or being a hobbyist you need it for your hobby or just for some cutting and shelling at home? One must also keep in mind the frequency of its usage. Depending on the purpose you must decide upon the size of the table saw. Big size table saws are suitable for professional purposes. The place where you are going to store the saw also needs to be kept in mind. If you have a small workshop for small projects, then avoid taking large table saws. If you need a table saw for your home chores, then go for small sized table saw. Portable table saw would prove to be very handy, as you can carry them easily anywhere, as and when needed. It does not even take much space for storage. A benchtop table saw can also be a good option if you do not want something to occupy a lot of space in your house, plus they are easy to move from here and there. Make sure that your table saw is equipped with the basic accessories and features, as per your requirements. For instance, look for the blade guard; it is always good to have a replaceable one. There should be an emergency switch which can be turned on when required. For extra safety, look for the flesh detection sensor technology in your portable jobsite table saw, and to keep your work space clean ensure that the table saw has a nice dust collection technology. Always explore different kinds of table saw before you chose one for yourself. As todays market offers a wide variety of table saws, which serves different purposes. Another thing which you must consider is the price of the table saw, do not forget to compares the features, functionalities and price before buying one! A good way to arrive at a decision is to use tablesaw reviews in woodworking magazines or online.